Chances are you can source these unpublished package versions yourself by Finder searching the node_modules of a project npm installed in last month or so (but not yet updated) for flatmap-stream. flatmap-stream@0.1.1 contains the malicious code and is the most interesting to look at. [DEP0106] DeprecationWarning: crypto.createDecipher is deprecated. It took far too long for the community to mobilize. 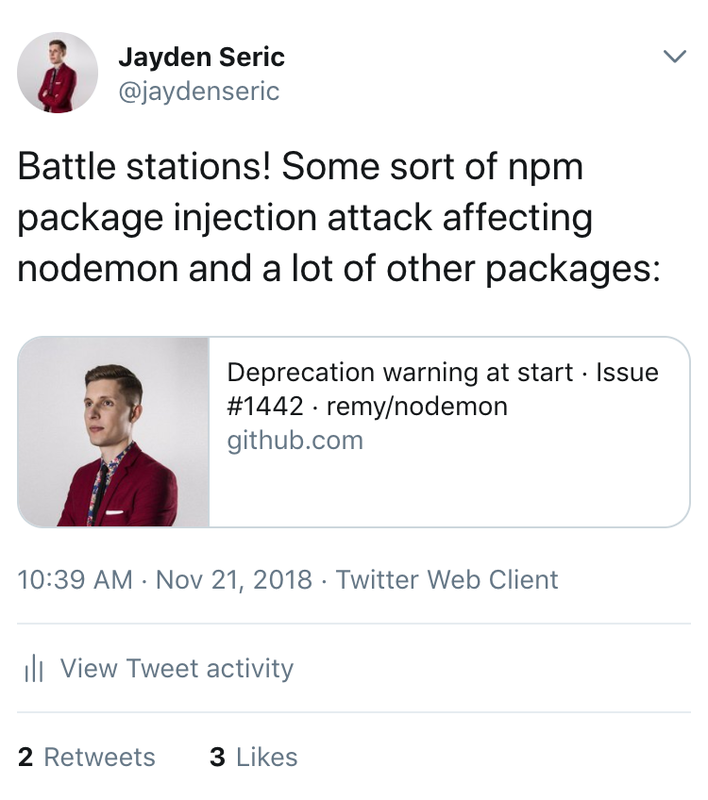 npm never replied; they only took down the malicious packages after the story went viral a week later. It is problematic that package source code on Github, what most people scrutinize, can be totally different to what is published to npm. Hackers are exploiting this to undermine the open source “many eyes” security advantage. For packages with a repository field, the npm publish command could accept a commit hash argument and the actual packaging could take place on npm servers, pulling the relevant commit. 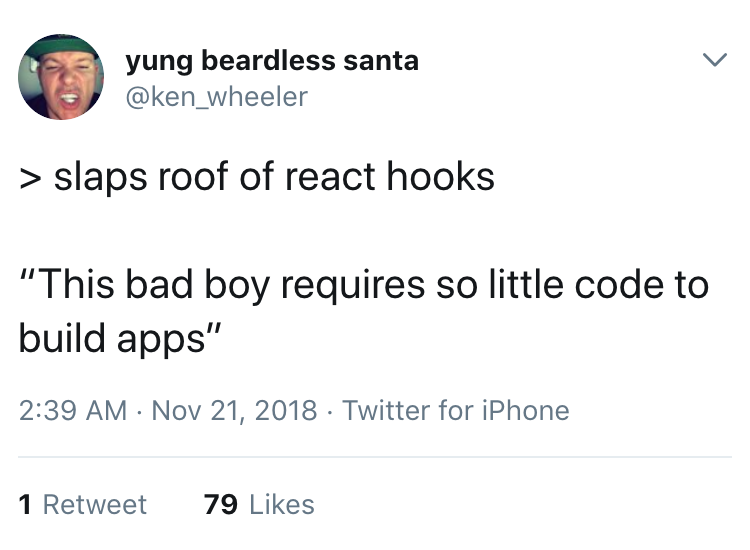 This will have the nice side-effect of ensuring packages can be built reliably from dev dependencies and scripts in environments other than the original author’s. The reporting form could be more obvious and better tested. Reports via alternative channels such as Twitter should not be ignored. There is always a delay between the initial community report and an official advisory or response, if there is one. 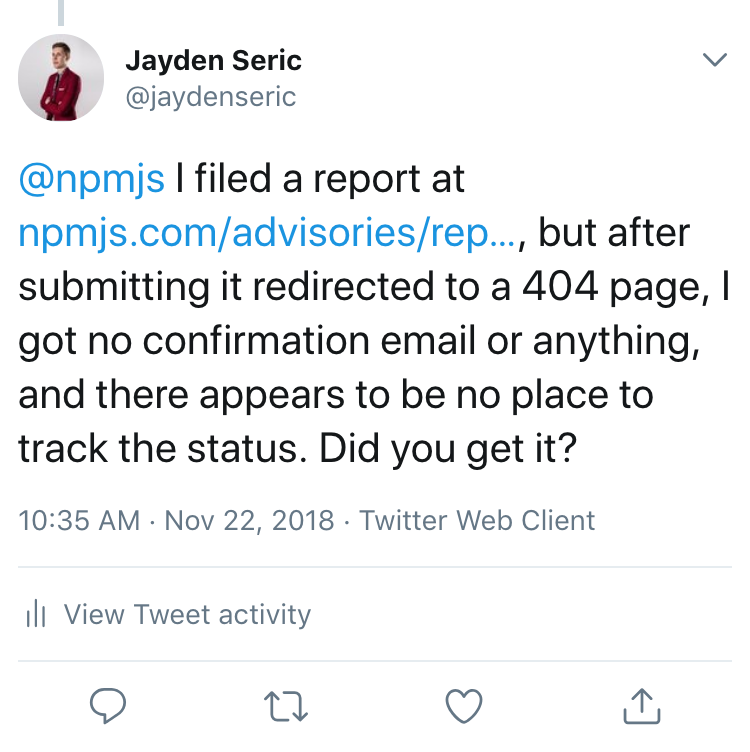 It would be nice if there was a way to audit your projects for unconfirmed community reports of active security threats. There needs to be a clear distinction in the reporting process between security vulnerabilities, which should not be immediately disclosed to the public, and active threats, which should. Instead of removing bad versions of compromised or malicious packages from the npm registry as if they never existed, they should be made only installable with a special flag. This would reduce confusion and allow security researchers to do their thing without having to contact each other asking for copies.